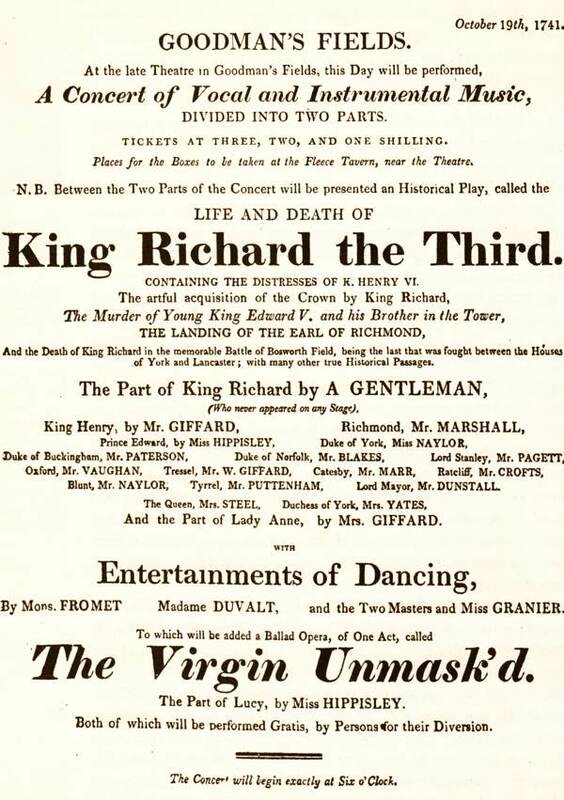 The equivocal nature of the image fascinates me, simultaneously incarnating the startling ascendancy of David Garrick, a new force in the British theatre who was to end up enshrined in Westminster Abbey, and the sudden descent of Richard III, a spent force in British monarchy who – if we are to credit the recent discovery – ended up buried in a car park in Leicester. 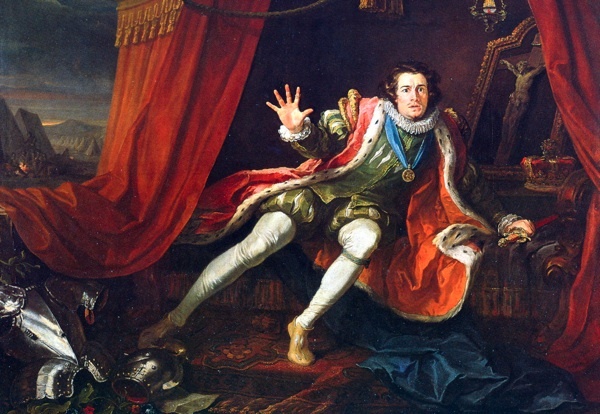 You can interpret the gesture of Garrick’s right hand as attention seeking, inviting you to “Look at my acting” or, equally, it can be Richard’s defensive move, snatching at the air with fingers stretched out in horror. It is, perhaps, both at once. 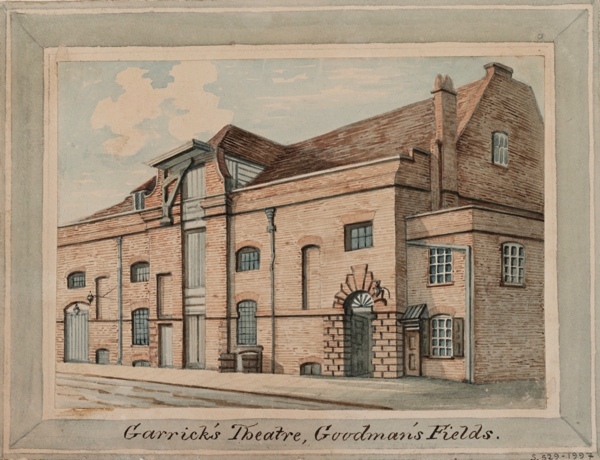 Yet my interest is in Garrick and how he became an overnight sensation, introducing a more naturalistic acting style to the London stage and leading the Shakespearean revival in the eighteenth century. 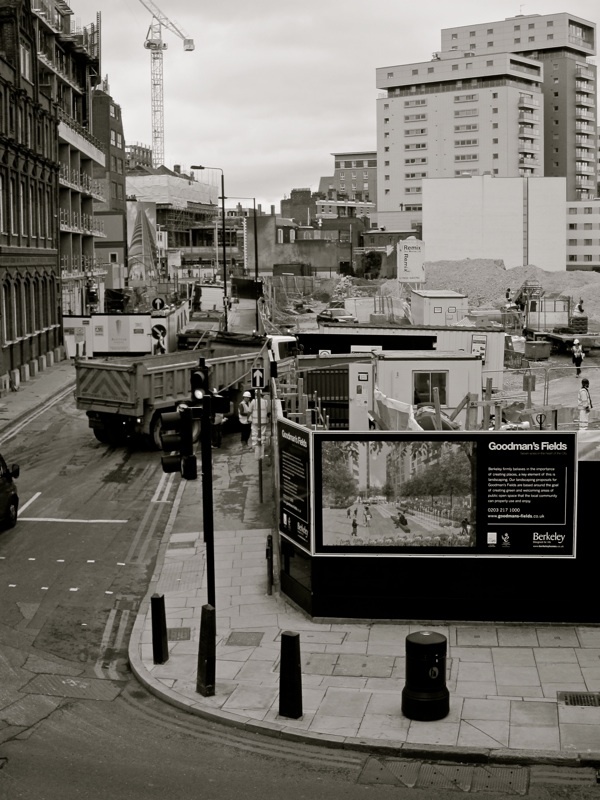 And it all started here in the East End, just a mile south of Shakespeare’s first theatre up the road in Shoreditch. 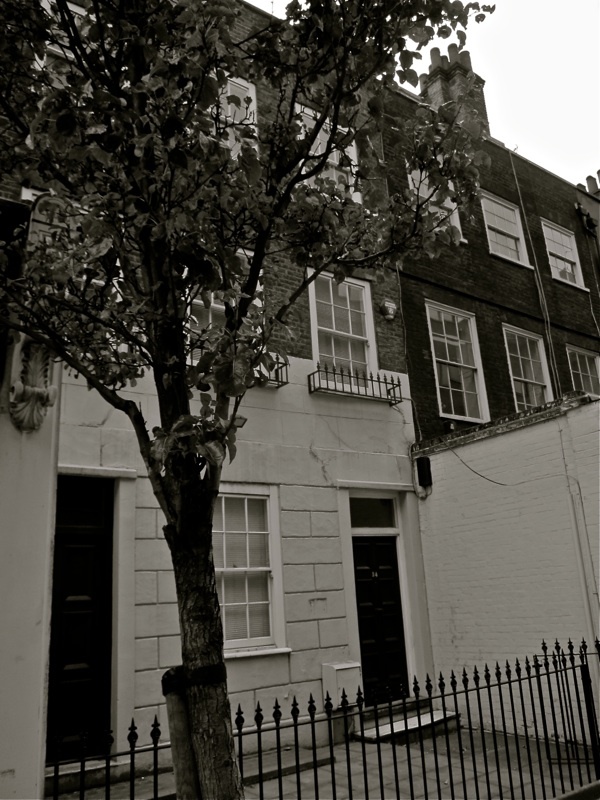 An eighteenth century terrace in Alie St, formerly know as Ayliffe St. 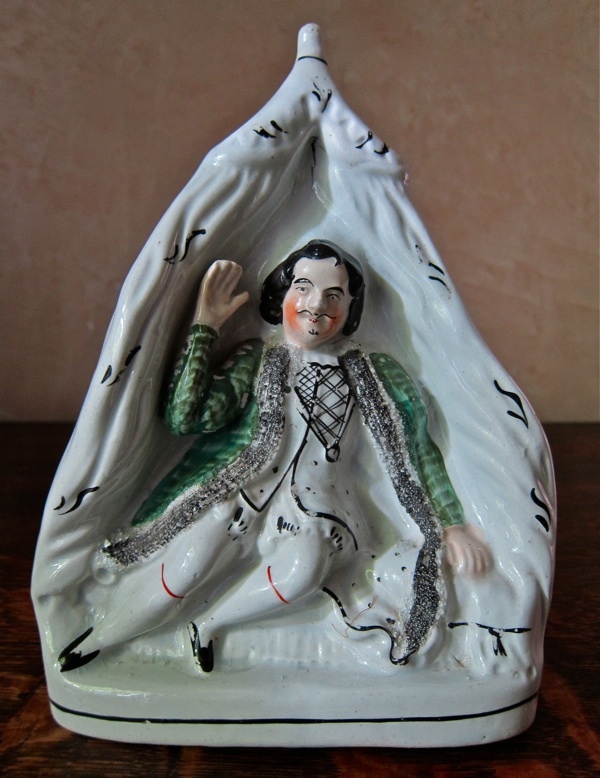 Very interesting article – may Mr Garrick always be waving joyfully at you Gentle Author. 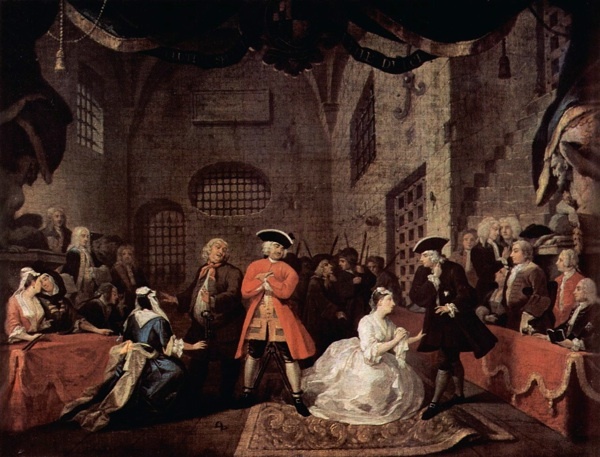 Waiting for the London train yesterday from Liverpool Lime Street, I called in the Walker Art Gallery, and spent time looking at Hogarth’s painting of David Garrick as Richard III. I was amazed therefore to see it before me in today’s post. Coincidence of course. 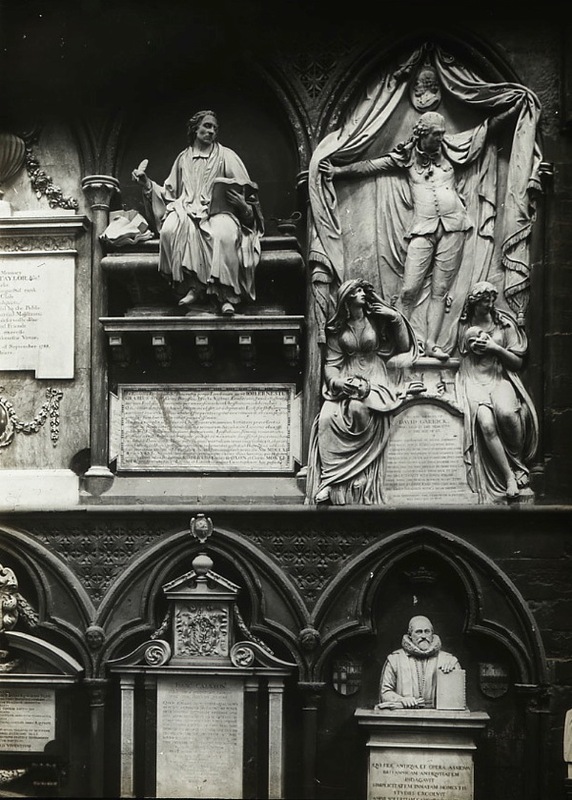 Thanks for your many fascinating posts (and the hard work they entail). It is a Staffordshire womb, and he is about to be born, fully formed.